The problem is: the word “chemical” is entirely misused in these contexts. Everything is a chemical – common table salt (sodium chloride), for instance, and even water (dihydrogen monoxide). The chemicals in our diet are often categorized into four broad categories: carbohydrates, proteins, fats and lipids, and everything else. This final group has no defining characteristics but includes vitamins, minerals, pharmaceuticals and the hundreds of trace chemicals each of us consume everyday. Of course, there are toxic and harmful chemicals, but just as many are completely fine for human consumption. So here’s a handy guide to the chemicals in your kitchen, and what they mean for your health. Proteins, lipids (such as fats) and carbohydrates are known as the macronutrients and provide most of our daily energy needs. Despite 118 known elements in the periodic table, these three categories predominantly contain just four elements – carbon, hydrogen, oxygen and nitrogen – with trace amounts of the remaining elements. Chemicals called amino acids link together to create proteins. The richest sources include meat and eggs, but significant amounts are also found in beans, legumes and wheat flour. Carbohydrates contain just carbon, hydrogen and oxygen atoms, all connected in very particular ways. “Carbs” include sugars, starch and cellulose, all of which are digested differently. While sugars are one type of carbohydrate, artificial sweeteners, such as aspartame and saccharin, are not actually carbohydrates. Despite concerns about the health effects of artificial sweeteners, the health spotlight has recently been placed on the natural sweeteners: the sugars. White sugar (sucrose) and high-fructose corn syrup (a mixture of fructose and glucose) have been linked to a range of wide-spread health conditions. Just like carbs, fats only contain carbon, hydrogen and oxygen, but gram for gram release more than twice the dietary energy of either protein or the carbs. Perhaps it’s for this reason fats have copped a lot of bad press for longer than the sugars. Nevertheless, some fat is absolutely essential for a healthy diet. Acid sounds bad. But there are many acids sitting benignly in our pantries and fridges. Consider varieties of food and drink that are acidic. A classic example we often hear is that Coca-Cola has a pH value of about 3.2 (lower means more acidic with 7 being neutral). That’s strong enough to remove rust from metal. And it’s true, thanks to the phosphoric acid in Coke. Watch as Coke eats away at surface rust. As it happens, the human stomach also contains phosphoric acid (as well as hydrochloric acid), and this has an even stronger acidic pH value. Actually, apples and oranges have a similar pH value to Coke, and lemon juice is ten times more acidic. The acidic characteristics of food and drink combine with other chemicals to provide flavor, and without some acidic character, many foods would be bland. Chemically speaking, the opposite of acidic is known as basic, or alkali. While acidic substances have a pH < 7, basic foods have pH > 7. Examples of basic foods from the kitchen are fewer, but include eggs, some baked products like cakes and biscuits, and bicarb soda. Obviously, there are also toxic chemicals lurking in our kitchen cupboards. But these are usually kept under the sink, and often have pH values at the extreme ends of the spectrum. Cleaning products such as ammonia and lye (i.e. Drano) are very basic. Soaps and detergents are also at the basic end of the scale. Acidic cleaning solutions are also common, such as concentrated sulfuric acid, which can also be used to unblock drains. Cooking itself is really just chemistry. Heating, freezing, mixing and blending are all processes used in the laboratory and the kitchen. When we cook food, a myriad of different physical and chemical processes simultaneously take place to transform the ingredients (i.e. chemicals) involved. Carbohydrates are an interesting case study. Simple sugars combine with proteins in the Maillard reaction, which is responsible for browning food when it’s cooked. Add a little more heat and caramelization takes over, while too much heat for too long leads to burnt flavors. 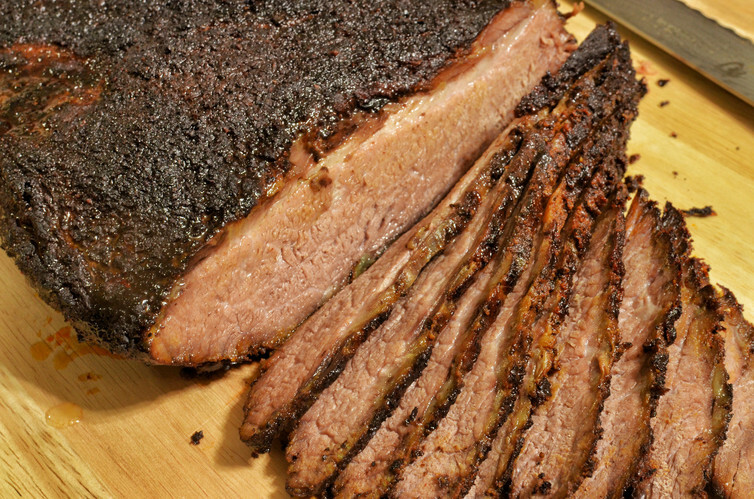 It takes some deft chemistry to make a seasoned smoked brisket. Starch is another carbohydrate well known for its ability to create gels, such as in a panna cotta. Upon heating, powdered starch combines with water and completely different texture is created. So next time you hear someone say, “I don’t like to put chemicals into my body," feel free to chuckle. Everything is made of chemicals. We’d be in a bit of strife without chemicals, not least in the kitchen. By Chris Thompson, Lecturer of Chemistry, Monash University. This article was originally published on The Conversation. Read the original article.